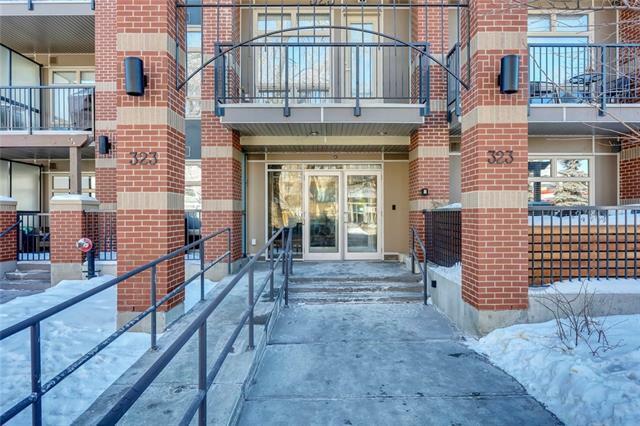 Welcome to this fabulous one bedroom condo in the vibrant community of Mission! 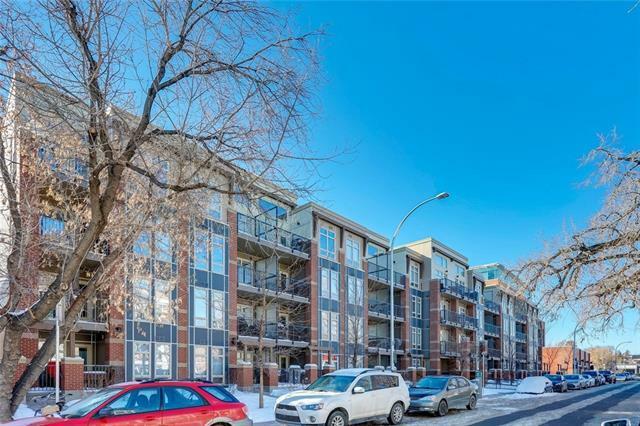 Ideally located steps to some of Calgary's best restaurants, pubs and shopping. Tribeca by Bucci was designed with style and functionality for true inner-city living. 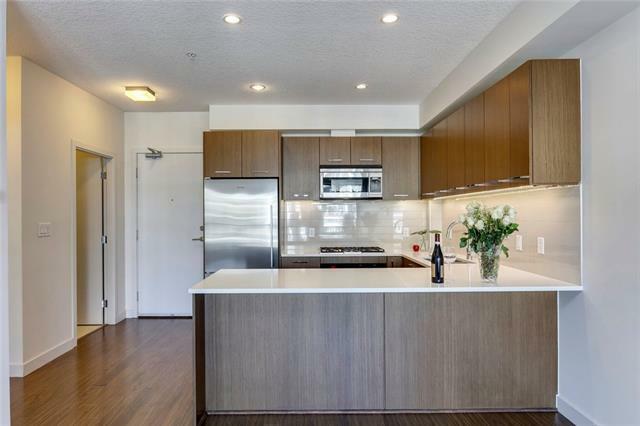 The kitchen features white oak veneer cabinetry with walnut finish, quartz counter tops, soft close cabinets & drawers, Fisher/Paykel appliances, LED undermount lighting and garburator. The spacious living room features floor to ceiling windows and easy access to the large balcony complete with gas hookup for BBQ.The master bedroom offers a walk-thru closet to full 5 piece bath with walk-in glass shower, soaker tub, large vanity with quartz counter top and undermount lighting. Convenient pantry/storage space at front entrance is ideally situated next to laundry room with stacker washer & dryer. 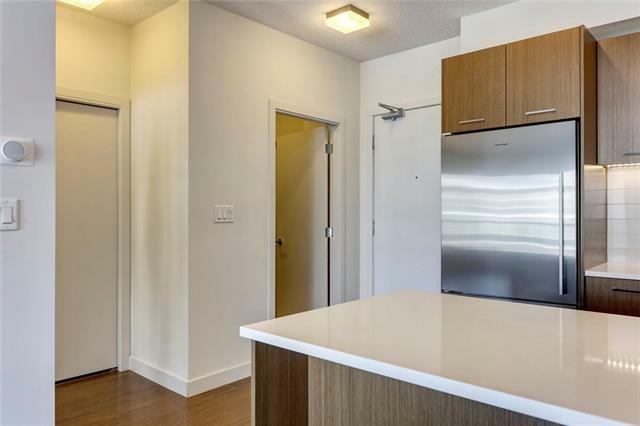 The unit comes with one titled parking stall, assigned storage locker and car wash bay in the heated underground parkade. All you need is the key!